A tragedy at a Florida high school on February 14, 2018, has put students, teachers, and guns front and center in our news feeds. In my opinion, only two of those things should be on our minds: students and teachers. In a perfect world, guns would not threaten our children or our communities. The question might be raised, as an Optimist Club, what can we do about it? A number of answers come to mind such as hunter safety - informing young people to respect firearms and respect for law programs - encouraging good relationships between students and authority figures, among other things. One of the things that Optimist Clubs do best is fulfilling needs where there are no other answers or programs in a local community. In order to know what is needed in the school system, however, one has to be connected to the school system. Optimist International wants to help Optimist Clubs make those vital connections. For the entire administrative year of 2017-2018, teachers and school personnel may join an OptimistClub for the introductory and value price of $30. There is no registration fee; the cost is only $30 for one-year. Why not extend this offer to the school principals in the school district where your Optimist Club meets? Ask the principals to recommend a teacher from each grade to participate, comp their membership fee, and get them involved so that you may learn how to serve their schools and students better. Recruit a teacher and we will all benefit, especially the children. 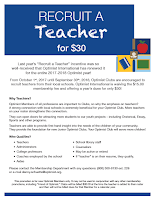 Click to enlarge the photo to learn more about the Recruit a Teacher program. 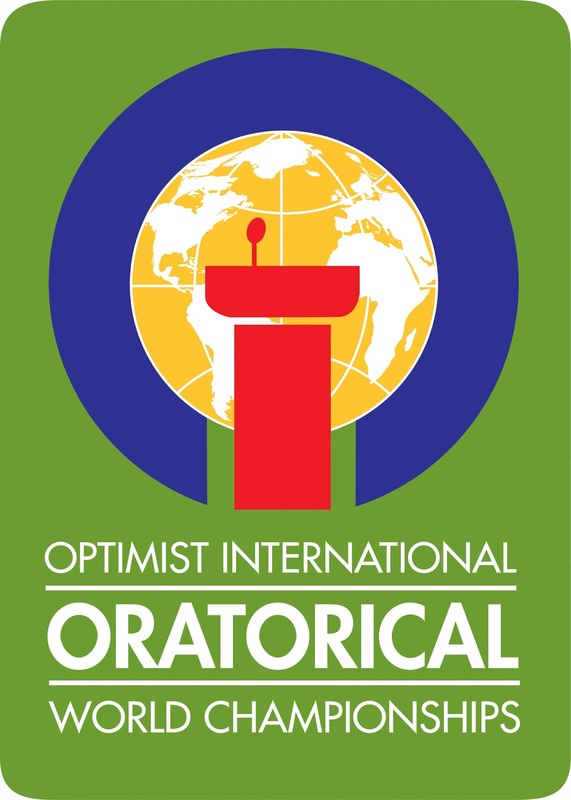 Optimist International Oratorical contest asks, "Where are my roots of optimism?" One of the most beloved Optimist International programs is taking place at Optimist Clubs around the world. What is it? The Optimist International Oratorical Contest. This contest began in 1928 and has been performed continuously since then. The contest is designed for young people to gain experience in public speaking and provides them with an opportunity to compete for college scholarships. Up to $22,500 can be achieved by the winner at the World Championships level. The topic for the 2017-2018 contest is "Where are my roots of optimism?" Click here to download the contest application form with rules. All students must begin at the Optimist Club level. Winners from the Club level advance to Zone, Regional and District competition, with the first, second, and third place finishers receiving $2,500, $1,500, and $1,000 respectively. In the Pacific Northwest District - Alaska, Idaho, Oregon, Washington and British Columbia - Optimist Clubs are encouraged to complete their club-level contests in March and zone-level contests in April in preparation for the Third Quarter District Meeting and PNW District Optimist International Oratorical finals in Vancouver, Washington May 11-12, 2018. In the words of Helen Keller, optimism is the faith that leads to achievement. Nothing can be done without hope and confidence. According to Mary Lou Retton, optimism is a happiness magnet. If you stay positive, good things and good people will be drawn to you. Perhaps it is simpler than that. Optimism is hope, light, and love. Optimism is the future. It is no secret that membership in service clubs is declining. 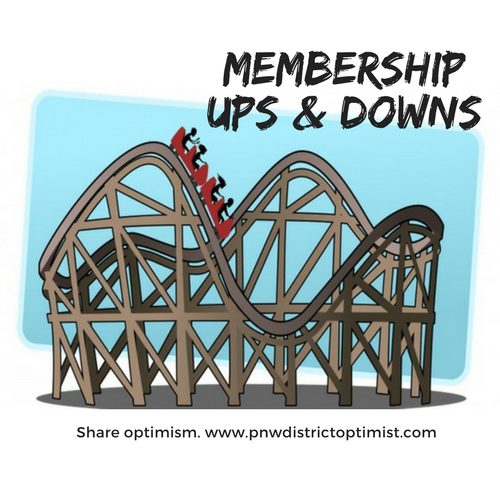 Optimist Clubs in the Pacific Northwest are no different; however, they typically have their ups and downs. One-year membership will be up, and the next it will be down, just like a roller coaster. I'm writing this note as an alert. For some reason, membership in the PNW District appears to be in a freefall. That roller coaster is on a big plunge! 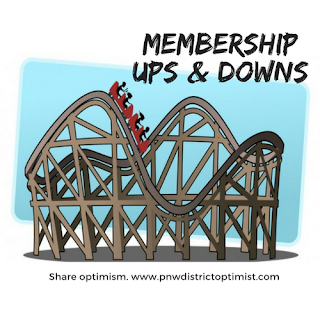 The PNW District was a Distinguished District in 2014-2015 ending the administrative year with 80 more Optimist Club members than it had when it started. Things have taken a dive from there. In 2015-2016, the PNW District ended the year with 59 fewer members and in 2016-2017, it ended with 97 fewer members. Today, in the fifth month of the 2017-2018 administrative year, the PNW District is down 53 members. At this pace, it could reach a loss of 100 members by September 30, 2018. So how do we redirect the roller coaster? Which curve will lead us to the uphill climb? The answer is simple: JUST ASK! We must ask people to join our Optimist Clubs otherwise, they look on and sometimes cheer on those who work to make the community a great place to live. Many say that asking is the hard part and that is why we want to introduce you to a great membership recruitment tool: NOW. NOW is the acronym for New Optimists Welcome. The concept is simple - Your Optimist Club invites a group of prospective new members to a single event, explains what the Optimist Club is and what it does in the community, and then asks those assembled to join. When one person says yes, the group dynamics inspires others to join as well. Set the location, date and time of the event - allow ample time for invitations, but not too long for enthusiasm to wane. Three to four weeks in advance seems about right. Click here for the NOW brochure from Optimist International. Now we have an offer for you! This post was prompted by a note from Glenda Standeven. Glenda is a published author, inspirational speaker, and past Distinguished Optimist Club President of the Chilliwack Optimist Club. She has offered to visit Optimist Clubs in British Columbia between mid-April to June 30 and serve as the closer at their NOW events. We send many thanks to Glenda for making this offer and encourage you to contact her at 604.792.6638 or at her website. So that clubs in the US have access to some outside inspiration, Linda Vaught, past International Vice President and past Outstanding Governor of the Distinguished PNW District has offered to serve as the closer at NOW events in Washington, Oregon, or Idaho. You may reach her at 208.861.2310 or by email to arrange a date. We must all work together to bring the PNW District membership to a positive level. Adding members strengthens your Optimist Club and enables it to do even more to serve youth and community. Help others improve themselves by encouraging them to be an Optimist volunteer. The month of February brings to mind many things: #OptimistDay, Groundhog Day, SuperBowl, Valentine's Day, and e-File Day, among others. Wait a minute -what's that last one? February 15 is e-file day for all US Optimist Clubs. 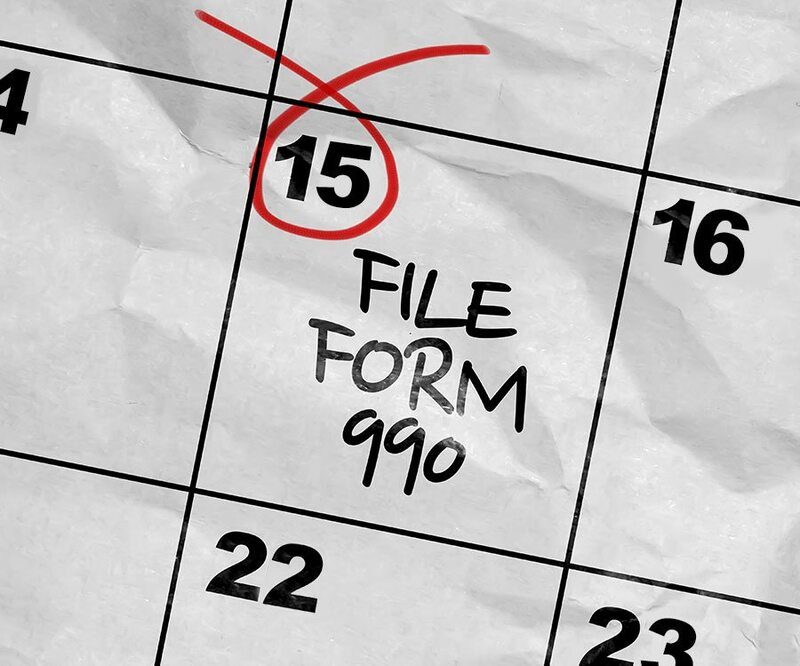 The form 990 is due on or before February 15. Complete instructions and log-in filing information can be found here. Form990-N Electronic Filing System e-Postcard. It is free to file and required in order to maintain tax-exempt status as an Optimist Club. 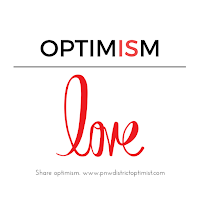 Today has been declared #OptimistDay by Optimist International and Optimist Club members around the world are celebrating by showing their Optimist pride, wearing their Optimist colors and clothes, and doing what they do best - sharing their optimistic attitude with others. For me, I thought it was a great time to share what it means to be an Optimist. 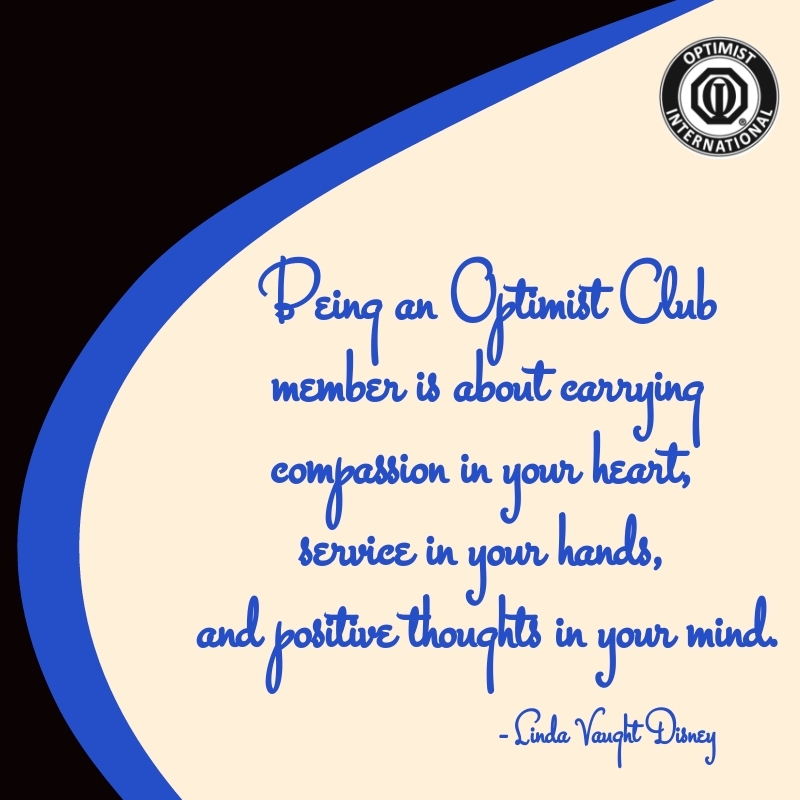 Being an Optimist Club member is about carrying compassion in your heart, service in your hands and positive thoughts in your mind. Of course, when you share those positive thoughts, service, and compassion with others, you help build more optimism to make our world a better place to live. 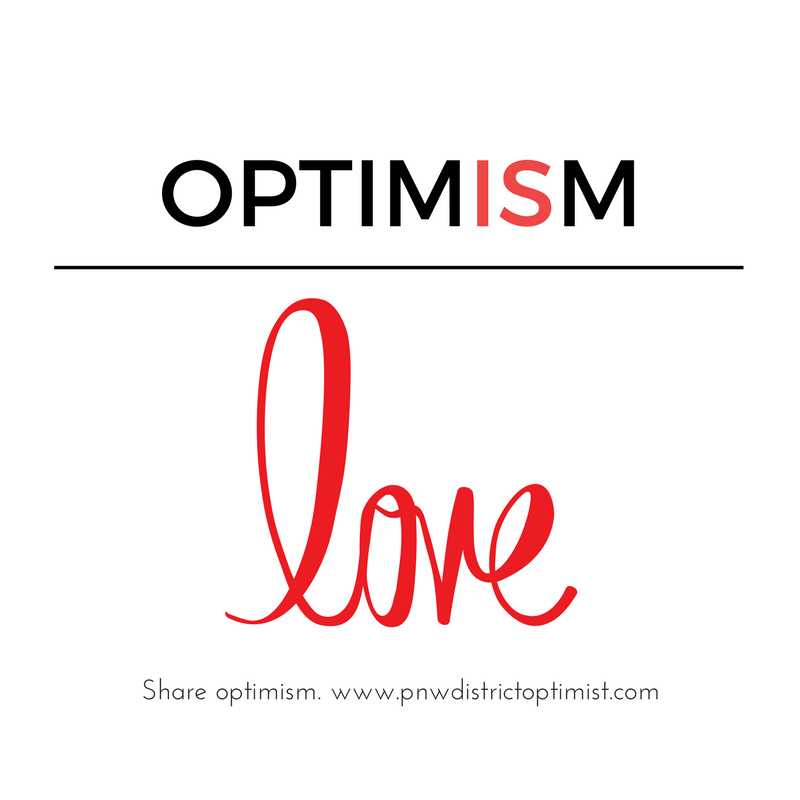 Please join an Optimist Club and help us move this world forward with hope, with optimism.